Four times a year, Calgary Transit looks at the bus routes and schedules to figure out what’s working and what could be improved. They consider several factors including feedback from their customers and drivers, ridership levels and changing traffic patterns. To stay up to date on changes to the routes you use, download the Calgary Transit app and follow them on Twitter. The Fall Service Changes below will come into effect on Monday, September 3. Click this link to see which Calgary Transit routes have been adjusted. The Joint Encampment Team (JET) project was created in response to a rise in reported resident concerns of the illegal camps since the economic downturn in 2014. Photo Source: CBC/Dave Gilson. As you know I believe that great neighbourhoods make a great city. One of the hallmarks of a great neighbourhood is the ability of its residents to identify issues, find thoughtful and compassionate consensus for solutions and work with their City Councillor and City Administration to move those solutions from ideas to action. The Joint Encampment Team pilot project is a great example of that. The Joint Encampment Team (JET) pilot project was created in response to a rise in reported resident concerns of the illegal camps since the economic downturn in 2014. The Ward 9 Office and I have been instrumental in ensuring that this matter was addressed quickly and resourced appropriately. Based on the feedback of concerned residents, my office and the City of Calgary, we came up with the proposed benefits and goals of the JET pilot project. Decreasing duplicate and multiple calls for service for the same encampment from residents. Clearing encampments quicker so camps don’t have a chance to grow. Increasing community perception of safety. Decreasing the negative environmental impact of illegal camps as they cleaned up quicker. Training staff and contractors about vulnerable populations and unique hazards to encampments. Creating a City-wide service request pilot project for illegal encampments. Creating a standard operating procedure for addressing illegal encampments. Creating a City-wide service agreement to address illegal encampments on City-owned property. Piloting illegal encampment site remediation strategies to assess future encampment prevention. Ensuring that data is centralized and analyzed to help to paint an accurate picture of encampments in Calgary to ensure appropriate resources are allocated. 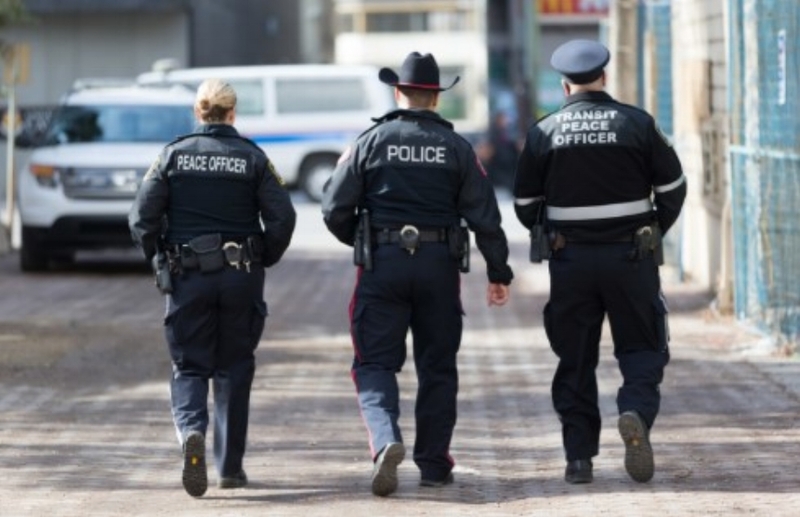 As you may know, in the past, the City of Calgary’s Partner Agency Liaison (PAL) team would address these camps (approximately 1000-2000) with very limited resources. This two Bylaw Officer team would approach homeless encampments and connect its users to social services like shelters, affordable housing, mental health services, or other services that could help them. The PAL Team was created in April 2010 to address illegal encampments and act as a form of outreach for persons who may not have or want access to the various housing and agency resources available, and are the only consistent resource that addresses illegal encampments on both public and private properties City-wide. As cleaning up one site could cost up to $4,000 and pose significant health risks to the public (depending on the user of the site) the Ward 9 Office worked with Community Services to create the JET pilot project that would make identifying and helping the rough sleepers of the illegal encampments easier and facilitate quick and efficient clean ups of the sites. Prior to this project, there was no citywide protocol for dealing with camps which led to some resident frustration. Each city department would deal with illegal encampments in its own way with a different person taking the lead, and clean up could take a long time depending on where it was located, and depending on whether the camp was on property maintained by Calgary Parks, Calgary Roads or Real Estate & Development Services. This inefficiency and lack of coordination was a large source of frustration. My office continues to work with City Administration to ensure that all City departments, and our partners, such as the Calgary Police Service, the DOAP Team, and Calgary Fire are all on the same page so residents can call one number and get the appropriate services and resources allocated to rough sleepers and the sites they occupied quickly. Your feedback is instrumental in ensuring that this program works and gets the appropriate and adequate funding it needs to get quality and substantive results. Contact 311 by telephone or via mobile phone app. If reporting through 311 on your mobile phone, you can give GPS coordinates to the exact site (the 311 app will automatically do this for you). Ensure that in the details you mention “Illegal Encampment” and “Joint Encampment Team” to ensure it gets to the right group (a 311 Task will be added in September 2018, in the meantime, use the appropriate 'Task' now). Encampments should be called in to 311 unless a crime is in progress (then call 911). Do your best to be patient. Before illegal camps can be cleaned up and removed, the Calgary Police Service (CPS) or Calgary Community Standards (Bylaw) must place a 72-hour trespass notice on the site before clearing out the area. NEVER enter an encampment as they could be very dangerous - call 311! We want to thank all Ward 9 residents and Calgarians who remained engaged with my office to make this pilot project come to fruition. We could not have done it without you and we are proud to have some of the most thoughtful, engaged and compassionate people in Calgary living in Ward 9. Please be sure to pass this on to your friends and family across Calgary so we can spread the word and ensure that we can reach out to these vulnerable Calgarians in these illegal camps while ensuring the usability and beauty of our parks and wooded area. We're Inviting You to the Forest Lawn and Forest Heights Community Objectives Workshop! Join Your Forest Lawn and Forest Heights Neighbours & Team Ward 9! From this work we were able to come together and develop a game plan on tackling important issues in each neighbourhood. We recorded all the data collected and distilled this information into the Ward 9 Strategic Report 2013-2017. With the ward boundaries changing after the October 2017 Municipal Election, Forest Lawn and Forest Heights are new Ward 9 communities and we're inviting our Ward 9 neighbours in Forest Lawn and Forest Heights to join us for our first Forest Lawn and Forest Heights COW! And everything and anything you can think of! We are looking to evaluate and review our priorities and identify new issues and concerns from Forest Lawn and Forest Heights residents, businesses, and community institutions! Please note that space is limited and we ask that you click the link here or below to RSVP. RSVP NOW and help drive the work being done by your Team Ward 9. Good morning, Inglewood and Ramsay! Landscaping work is scheduled to begin today, and work areas will be fenced off prior to our work beginning. You will notice the contractor mobilizing to site including a site trailer, construction fencing, and equipment. This is the final stage of this project and we look forward to putting the finishing touches on this project. While pathway closures and detours will be required to help complete this work, detour signage will be installed and I have ensured that at least one pathway connection between 12 Street S.E. and the Bow River Pathway Network remain open throughout the duration of our work. Temporary road closures/detours may be required to move equipment and materials on and off site; We will ensure that appropriate signage is installed so that everyone in the area can continue to get around safely. This information will be updated on the project page shortly. Please be sure to share this information with anybody who uses the 12 Street Bridge and is interested in the neighbourhood improvements that are happening in the community! The concept of the lagoons reconnection was reviewed through the Bend in the Bow project. As part of this work, various scientists, surveyors, and engineers will be visiting the site over the coming months. Below is a note my office received from the Water Resources river engineering group. Have a read and please share it with others in Inglewood, or who might otherwise be interested in it. The Inglewood Bird Sanctuary has been one of the Cities most ecologically important parks for nearly 90 years. Unfortunately, due to its age, some of the hydraulic structures that control the water level in the lagoon have passed their useful life and are putting the park’s lagoon at risk. As part of the Bend in the Bow review process, the concept of reconnecting the lagoon to the river was suggested to improve water quality, reduce water level fluctuations in the lagoon as well as improve fish habitat. ensure none of the wildlife that use this park will be negatively impacted by the proposed changes. the park and thank you for your understanding. This project is currently expected to begin construction in the winter of 2020 at the earliest. This is due to the amount of time needed to obtain regulatory approvals to do this work and because construction within the river and park is only allowed during certain timeframes in order to ensure bird nesting and fish spawning is not disturbed. Reconnection of the lagoon to the Bow River to provide continuous flows into the lagoon, which is similar to the conditions at Prince’s Island Park lagoon. Replacing and strengthening the two outlet structures and providing a more defined channel out of the lagoon at the downstream end. Habitat enhancement components including large wood features which will provide habitat for both birds and fish. Work on the gravel bars upstream and around the sanctuary will also be necessary to ensure the project’s functions well in the long term. I hope the summer is treating you well. I have been having a rather busy summer with many initiatives going on in the community. I thought I would reach you out with some community updates! Mothers In Action: We have a new community initiative, inspired and led by a mother, to support the children and youth in the community. Mothers In Action believe that parents, especially mothers, can play a greater role in supporting the younger generation. We will keep you all posted as it gains momentum in the community. Studio 17: I have been involved with Studio 17, which is a summer program run by the Evangel church for youth in our community. It runs out of the St. Luke’s Anglican Church gym. Studio 17 uses both basketball and hip hop as tools to engage the youth and children. It is a huge success as youth and children come in large numbers. Fair Entry Night: In partnership with Studio 17, I will be organizing a Fair Entry Night for residents to sign up to have access to affordable transit and recreational programs. We hope this will help in addressing some of the barriers that our residents face when trying to access programs and services. Fair Entry Night will be held on August 20th at 6.30 pm at St. Luke’s Anglican Church (2951 26 Ave SE). We will have staff from The City of Calgary to sign up the eligible residents for this program. Those who would like to learn more about Fair Entry Night can call me directly at 403-510-3045 or email me at binu.sebastian@calgary.ca. Community Outreach: I am partnering with Calgary Housing and Aspen to reach out to as many residents as possible to engage them. Community Outreach is an important element of our work as we constantly look for the ways to foster community connections and also to connect residents with resources in the community. As always, I look forward to your comments and suggestions and I can always be reached at 403-510-3045 or binu.sebastian@calgary.ca. I hope you have a great weekend ahead! As your Community Social Worker, The Dover Community Times is an attempt to connect with you and to keep you updated with relevant information and resources. It also offers you place where you can share your recommendations, suggestions and feedback on our collective work in the neighbourhood. You can always reach me at 403-510-3045 and binu.sebastian@calgary.ca. The Southview Affordable Housing site is part of a feasibility study designed to see if a new, modern, affordable housing development on this site can be sustainable. I hope you have been having a fantastic summer despite some of the smokey conditions we’ve been experiencing in Calgary over the last little while. I wanted to take this opportunity to let you know that the City of Calgary stakeholder report back about the Southview Affordable Housing project is complete. Previously the site located at 1820 33 Street SE was the location of 96 affordable housing units. Those 96 units were demolished in 2014 because of the age of the buildings and the need for extensive repairs. The current zoning allows for construction of a 3-4 storey apartment complex, providing up to 196 units. In partnership with The City of Calgary, the Province of Alberta, and Calgary Housing Company. The Province has provided grant funding to do this work and explore the redevelopment potential of the Southview site in Calgary for affordable housing. What was asked during the engagement? How could the development of new housing contribute to the neighbourhood feel? How can we make these houses feel like homes? What are the key elements that would benefit the people who would be living here? What are the key elements of new development that would benefit those living in the surrounding area? The conversation was not limited to these four questions. If you would like to find out more about what your neighbours said about this project, please click the link to read the Southview Affordable Housing Stakeholder Report Back: What We Heard from July 2018. If you would like more information about this project, please sign up to the Ward 9 Newsletter and visit the Southview Affordable Housing Engage website. I’m reaching out today about an on-going issue in the neighbourhood that we need your help to solve. The issue is with respect to waste. There are 2 issues - illegal and unsafe dumping, and improper use and untidy management of the Black, Green, and Blue carts for Waste and Recycling. You may have already been seeing a stronger Bylaw presence these past couple of weeks with the illegal dumping occurring. Over the next month, there will be more Bylaw Officers in the community proactively enforcing bylaws such as illegal dumping. The Bylaw Officers are there to address community concerns, so please feel free to ask questions if you see them on your street. Illegal dumping like this in Dover is unfair to the community, it's residents, and costs all taxpayers more. Illegal dumping has been happening in a number of places around Dover including the community mailboxes by 28 AV SE, at the WINS store on 34 ST SE, and at pathway entrances. This is illegal, unsafe, expensive, and unsightly. When illegal dumping occurs, City crews need to be taken away from other vital work being done, and dispatched to investigate and clean-up the mess. Crews don’t know if there are dangerous items in the material, and is unsafe not only for them, but it’s also unsafe for the children and pets of the community. It’s ugly and unsightly, and reinforces the unfair mischaracterization the community already receives. It’s also expensive. It is much more affordable to have City services systematically and efficiently collect curbside garbage with automated trucks, than to have them respond one-by-one to clean-up manually. When people see others in their community disrespecting the public realm, other may also adopt that view, then it spreads. Under the City of Calgary bylaws, illegal dumping is subject to a $250 fine. Under the Province of Alberta’s Environmental Protection and Enhancement Act, the fine goes up to $50,000. Dumping waste at unauthorized carts or sites is a crime. What to do if you see illegal dumping? If you witness illegal dumping in progress. Call the Calgary Police non-emergency line at 403-266-1234 and press '0' to speak to an officer to report the crime. Record a license plate if it’s safe to do so, and report the description of the offenders. If you see that illegal dumping has occurred, call 311 and report it. If you use the app on your smartphone you can attach an image and the location. You will receive a service request number, email it to ward09@calgary.ca so my office can follow up on it. The app will remind you the night before your carts need to go out. Put your Carts out before 7 a.m. on collection day and put your carts away after 7 p.m. on collection day. Click here for Cart Placement Tips. If you have items that are too big to throw out in residential carts, take them to a nearby landfill. Electronics, household chemicals, motor oil, and aerosol cans are all accepted for no cost. Tires, including tires with rims are accepted at no cost at the Shepard Landfill location. You can find landfill rates for household waste at Calgary.ca or by calling 311. Save a trip to the landfill for items that do not fit in their waste or recycling carts. These events are free of charge to you. While the community cleanups events do happen every year, it’s important we work together as a community and support one another throughout the year. If you’re able to, offer to lend a hand to a neighbour. Great neighbourhoods thrive when its residents, businesses and institutions like churches and schools work toward a common goal. Everyone can agree that they want to live in a clean community that they are proud to call home. There are 2 community clean up events happening near you on Saturday, September 22, 2018. As you know, some of our community residents and associations have had concerns about their community halls ranging from inadequate funding to ongoing maintenance issues. Ward 9 has seen the loss of 2 community halls that have served as integral community hubs and their loss has started a conversation about the future of community halls and their purpose in serving their communities. After meeting and speaking with the leadership of the Albert Park-Radisson Heights, Bridgeland-Riverside, Ramsay, and Fairview community associations, along with the leadership of the Southern Alberta Women's Hockey Association, and the Indefinite Arts Society, about these concerns, I wrote and sent the letter below on May 23, 2018, to formally inform them about my take on the next steps in bringing new facilities on line. I also forwarded this correspondence to the Mayor as well as top administrative leadership at The City of Calgary to make my intentions clear and transparent about the work I would undertake on behalf of my constituents going forward and would like to share my thoughts with you. Please have a look, let me know your thoughts, and sign up to my email newsletter to stay up to date as we move forward on this work, together. Please accept this letter as my response and as an expression of my intent with regard to numerous formal and informal communications I’ve had with each of your respective organizations regarding your desires and needs to pursue a new, integrated future for each of your sites. The mission of moving from stand-alone, single-use facilities on valuable civically-owned land, to a richly mixed-use model that better serves our communities and that are profitable enough to sustain themselves far into the future has been a core part of my Great Neighbourhoods work as your representative at City Hall. There have been several developments over the last couple years that have pushed us towards embracing this idea of the Integrated Civic Facility: the decision to reduce our ever-expanding need for office space for City employees led to the Tomorrow’s Workplace Today program; the Enough For All Poverty Reduction Strategy called for the establishment of multi-service community hubs; our aging fleet of end-of-life civic facilities has necessitated outside the box thinking; and, the pervasive need to do more with less as we tackle the inter-related challenges of housing, service delivery, and economic diversification. We have emerged from these processes with the broadly held conviction that we can no longer build stand-alone, single-use civic facilities. Our challenge now is to learn how to deliver this next generation of these Integrated Civic Facilities. Through combinations of leadership and circumstance, each of your valued Ward 9 organizations finds itself with the opportunity and the need to do this as well. My pledge to you is that I will coordinate The City’s work on this broader project, on a pilot basis, with each of your organizations. I am convinced that the best way forward, given that we currently don’t know how to effectively bridge the gap between the theory and the practice of the Integrated Civic Facility, is to undertake several pilots and in so doing, amass a broader understanding of what does and doesn’t work than we would working on a single pilot. I believe each of your needs is pressing and each of your opportunities is uniquely compelling. Further, I pledge to have these pilots significantly underway before the end of this term. Thank you for your vision and leadership, and I look forward to the exciting, city-shaping work that lies ahead of us. I'm looking forward to creating a platform for us to communicate with each other and to get your recommendations, suggestions and feedback to my work. I have been your Community Social Worker for about three years now, and I thought it would be a good practice for me to reach out to you periodically with updates from my side in regards to my work in the community of Dover. I am hoping that this will help in creating a platform for us to communicate each other and to get your recommendations, suggestions and feedback to my work. As you know, you can always reach me at 403-510-3045 and binu.sebastian@calgary.ca. Neighbourhood Adventures: Neighbourhood Adventures is a summer camp for kids run by The City of Calgary in the month of August. Like last year, I have requested the support from schools to refer children to this camp - and there are still spaces available! Please get in touch with me if you would like to have more details about the camp to see if your child could get registered. Meeting with School Principals in Dover: I have called for a meeting of a few principals from Dover. I am hoping that a meeting of this sort will help us explore the ways of supporting many families and children in our community. I will keep you posted with updates. Positive Parenting Support Group: Last year, in our service providers meeting from the Greater Forest Lawn area, it was shared that we need to do more work more to support the parents in our communities at Greater Forest Lawn. We have taken that forward in partnership with Action Dignity ( formerly Ethno Cultural Council of Calgary), Sunrise Link Resource Centre and Boys and Girls Club. We have held many workshops and meetings with parents at Boys and Girls Club at Penbrooke Club - thanks to Action Dignity, Penbrooke Club and Sunrise Link for all the great work. We are currently planning as to how we can enhance the participation of more parents in this initiative. Please feel free to share any suggestions that you may have. Neighbour Day is coming up! : June 16th we celebrate Neighbor Day in Calgary. If you have any idea to celebrate this day, please let me know. We could explore the ways to work together! It will be a great opportunity to celebrate the spirit of neighborhood in our communities. Truth and Reconciliation: The City of Calgary is intentional in incorporating the elements of Truth and Reconciliation in our work in the communities. Therefore, I am always looking for the opportunity to connect any initiative, idea to take this forward. Please let me know if you think of any ways to augment our work in this area. Planning for Summer: We are currently planning to have a summer engagement plan to connect with many residents in our community who are far away from resources and other community supports. I will keep you updated, meanwhile please share any ideas that you may have to engage with as many residents as possible. Here is a hoping that you will have a great long weekend! Looking for some fun, FREE activities for children, youth and families this summer? These safe, supervised programs are great for making new friends and learning new activities. Need something to occupy the little ones during the summer months while getting to know your neighbours? Check out what programs are available in your neighbourhood for children, youth and families, share, and enjoy! See you out there, Ward 9! Kids in our great neighbourhood who may not be able to afford to play organized sports like baseball or soccer might get into skateboarding because it’s so inexpensive. I’ve been heavily involved in skateboarding for most of my life. I started out skateboarding on the streets and sidewalks in my neighbourhood in Winnipeg. As I got a little older, I branched out to other neighbourhoods and even ended up skating downtown a lot. We had no dedicated skateparks in the city, except for a few months in the summer that would see a couple of arenas turned into skateparks with wooden ramps. Well, in my day, we didn’t have skateparks. Kids these days have it easy—there are skateparks all over Calgary. There are seven outdoor concrete skateparks and several mobile skateparks that operate in different neighbourhoods throughout the summer—all are free to use. I know a lot about this because I non-profit organization I helped start, the Calgary Association of Skateboarding Enthusiasts (CASE) has advocated for these skateparks. Personally, I’ve spoken to City Council, administration, and community associations, all in an effort to convince them that skateparks are a great idea. Millican-Ogden has the highest amount of green/park space of any neighbourhood in the city. This is one of the reasons why our neighbourhood is amazing. It also lends itself to suitable lands for a skatepark. Ward 9 currently has no skateparks, nor are any planned. The Green Line will come through our neighbourhood by 2026. I’m sure some of you have been to the open houses for the Green Line. With all this talk about ensuring the stations are “activated” and draw people in, wouldn’t it be great to have a skatepark near one of the stations? My daughter will be two years old this June. I figure if I start my advocacy now, by the time she’s old enough to skate (or bike), we’ll have a skatepark in Millican-Ogden. Skateparks have seen massive investment from the City of Calgary. The Skateboard Amenities Strategy recommends almost 270,000 square feet of skatepark terrain be developed in the next decade. With the six skateparks that have been built since 2015, we’ve barely scratched the surface. The City has been studying skatepark use in recent years and they’re finding that skateparks are being used at a very high rate, especially for an amenity that is the fraction of the cost of something like an arena or swimming pool and requires very little maintenance. Skateboarding will debut as an Olympic sport at the 2020 games in Tokyo. We could have the next Canadian Olympic athlete right here in our community—shouldn’t we nurture them and provide them with a place to hone their skills? Keep in mind that, although the preferred nomenclature is “skatepark”, that doesn’t mean skateboarding is the only activity allowed. Bicycles, inline skates, and even scooters frequent these parks. And that’s a good thing. It’s estimated that there are over 30,000 people who skate in Calgary. What would that number look like if you added the above user groups? I’m guessing we’d be well into six digits. I want Millican-Ogden to prosper. I’ve lived in the community since 2005 and I don’t plan on moving anytime soon. I want my daughter and all the kids here to grow up with the ability to go have fun. A skatepark is one way to do that. Kids in our great neighbourhood who may not be able to afford to play organized sports like baseball or soccer might get into skateboarding because it’s so inexpensive. If you want to help, please contact Councillor Carra and the Ward 9 office to let them know a skatepark would be a welcome addition to our neighbourhood. Critical programs that relieve poverty, such as Fair Entry, Family and Community Support Services, and affordable and social housing must be maintained and improved upon. It is also important that all budget decisions made strive to meet the social and economic needs of those Calgarians who are most marginalized. We write today in response to the City’s request for input into the Municipal Service Plans and Budget Priorities for 2019-2022. We were very encouraged by the passing of the Notice of Motion on Gender Equity and Diversity in 2017, and are looking forward to seeing a set of strong recommendations to advance gender equality in Calgary as the next step. The Women’s Centre of Calgary believes that a great way to demonstrate commitment to the goals outlined in the Notice of Motion would be to use the principles of the Fair Calgary Policy and GBA+ (Gender Based Analysis Plus) to guide budget deliberations. GBA+ is an analytical tool used to assess how diverse groups of women, men and gender-diverse people may experience policies, programs and initiatives differently. The federal and provincial governments have adopted GBA+ in recognition that budget decisions are not gender neutral; women may be unfairly disadvantaged. We know that on average, women are more likely to depend on public services to meet the needs of their families. This reality must be considered when determining how best to fund and deliver services. Funding decisions grounded in the principles of equity and fairness will ensure continued access for women to essential public services. Critical programs that relieve poverty, such as Fair Entry, Family and Community Support Services, and affordable and social housing must be maintained and improved upon. It is also important that all budget decisions made strive to meet the social and economic needs of those Calgarians who are most marginalized. As you know, the Women’s Centre of Calgary is a community organization that provides a safe, supportive space for women where they can get assistance, connect with others, and work for change. We have been working to advocate for social and economic policies that are reflective of women’s realities and experiences. The Women’s Centre community includes women from diverse social and economic backgrounds; over a half of the women who come to the Women’s Centre identify as living in poverty. We have considerable knowledge about the issues that women face and look forward to continuing to work with you to develop services in an equitable manner. The City of Calgary is in the preliminary planning stage of this project and they do not have detailed designs related to the expansion of Peigan Trail from Barlow Trial S.E. to 84 Street S.E. The City of Calgary is in the preliminary planning stage of this project and they do not have detailed designs related to the expansion of Peigan Trail from Barlow Trial S.E. to 84 Street S.E. (with the railway crossing initially envisioned to remain as an at-grade crossing). The Peigan Trail S.E. Expansion is listed as a high priority item in The City’s 2015-2024 Transportation Infrastructure Investment Plan (TIIP). When funding is confirmed for the next budget cycle, the community will be able to have these concerns addressed in the detailed design. While the Peigan Trail twinning project is unfunded and included in the next 4-year capital projects plan, it will be discussed by the Council in November. When funding is confirmed and the project will proceed with the detailed design, The City will be engaging affected community associations and business owners in the discussions. In order to prepare for the future detail design and construction phase of this project, ISL Engineering has been retained by The City to complete this preliminary engineering report. A few options have been looked at regarding the access to Forest Lawn Auto Parts, and there is a recommended option for the access. However, The City has only taken the design to preliminary engineering and more design work will still need to happen. examine environmental impacts and mitigations. The project scope includes approximately 6.5 kilometres of Peigan Trail from Barlow Trail in the west to 84 Street in the east. Much of Peigan Trail is a two-lane roadway; this project will investigate the expansion to four-lanes, as well as the ultimate six-lanes. The preliminary engineering report will be completed in early 2018. Confirmation of the next project phases will be made by early 2019 when current and future projects are prioritized and confirmed for funding. January 2017 – Preliminary engineering phase begins. Early 2018 – Completion of preliminary engineering design. June 2018 – Finalize preliminary engineering report. The City is committed to providing information to stakeholders along Peigan Trail, and motorists that use this roadway. This webpage is the primary source of information for this project. If you have questions or require more information, please fill out the 311 online form. Are Districts The Way Forward for Calgary's Community Organizations? The Community Representation Framework Task Force has been investigating an approach of creating Council-authorized, City-supported groups of community stakeholders called ‘district forums’. City Council formed a Community Representation Framework Task Force to review options and advise Council on how community organizations can more effectively represent the diverse interests and perspectives within their communities. The Community Representation Framework Task Force is composed of a broad range of stakeholders representing Council, the development and building sector, community associations and resident’s associations, the University of Calgary and City Administration. Identify the necessary supports and resources required by community groups so they can be effective representatives of their communities in dialogue with The City. Strengthening community governance is important for a healthy and thriving city. Here are my thoughts on the Community Representation Framework Taskforce. Return to Council with a final report by the end of 2018. Input will be gathered through a two-phase approach. Phase one is an online survey used to gain an understanding of the current state of community representation and gather input on a suggested new approach. Phase two will dig deeper into the responses gathered in the survey by using focus groups comprised of a cross-section of diverse community stakeholders. February 2018: Update report on community representation framework. Council approved recommendations to engage with community stakeholders and provide Council a final report by the end of 2018. April 2018: Phase 1 – engagement with community associations and a cross-section of other community stakeholders through an online survey. May 2018: Phase 1 - report back to participants. May and June 2018: Phase 2 – engagement with small groups representing a cross-section of community stakeholders to dig deeper into the issues and potential future scenarios. July 2018: report back to community stakeholders and the task force. October / November 2018: report to Committee and Council. January 2019: Pilot project phase and implementation of recommendations. The pilot projects are intended to provide opportunity to test any new approach supported by Council, review lessons learned and consider further input from community stakeholders before any new approach is rolled out on a city-wide basis. The Community Representation Framework Task Force has been investigating an approach of creating Council-authorized, City-supported groups of community stakeholders called ‘district forums’. At this stage in our process, the idea of district forums holds promise to achieve program goals, but we require community input to better understand the current state of community representation in Calgary and any opportunities or challenges this new approach may pose. We are looking for specific input that will help us better define a community representation approach that we can propose to Council later in 2018 and test through pilot projects in 2019. The feedback will also help us identify other aspects of the community representation framework with respect to supports and resources that are necessary to achieve the program goals and ways to improve community involvement in The City’s planning and development processes. A district is an area of the city composed of multiple communities based around significant features of the urban landscape that serve important functions for more than a single community such as main streets, transit station areas and other amenities like regional parks, schools and recreation centres. What Is A District Forum? an assembly of representatives of organizations and groups from communities within the district. These can include community associations, resident’s associations, business improvement area groups, cultural groups, faith-based organizations, youth and senior’s groups and service organizations, to name just a few of the possibilities. intended to be Council authorized, through approved Terms of Reference that describe governance and operations of the forum, membership eligibility and roles and responsibilities of community organizations and of The City. supported by The City to help achieve the program goals. Resources might include funding, staff support to help facilitate and organize meetings and training programs to help members effectively represent community interests and perspectives. Planning at a district scale allows communities to collaborate on local area plans that focus on common elements of interest, like main streets, transit station areas, regional parks, schools and recreation centres, while also providing the opportunity to contribute input on proposed development at the community scale. A ‘convener’ to provide services like meeting facilitation and conflict resolution, ensure compliance with terms of reference and City standards related to reporting, etc. Other professional supports to recruit member organizations, communicate with forum members, leadership and process training and education, subject matter expertise (planners, for example) and mediation services. What Will the Role of Community Associations and Other Community Organizations Be In Relation to a District Forum? Terms of reference for a district forum will outline the roles and responsibilities of member organizations and groups as participants in a district forum as well as The City as a supporter. Specific terms of reference will be developed as part of preparation for a pilot project. Will A District Forum Decide the Outcomes of Community Engagement? Will the District Forum Write a Community's Recommendation on Planning Issues? The district forum is not intended to make decisions on behalf of community, but rather to support an open, inclusive process that welcomes interested organizations and facilitates opportunities for them to more effectively collaborate with one another and with The City. Community organizations will remain independent of The City and will be able to either develop their own independent positions on planning and development matters or develop positions in partnership with other organizations and groups, as they choose. How Will This Change The Way Land Use and Development Applications Are Reviewed? Once a new local area plan is established, land use and development review processes will be conducted at either the district or community level according to the significance of the proposal and its location in the district. For example, a land use application along a main street would likely be reviewed by a district forum because it is in an area of interest to more than just one community. A small redevelopment proposal on a residential street that does not have broad impacts in the district will likely be reviewed by stakeholders of the community. In either case, communities will continue to be represented in land use and development application reviews. It Sounds Like A District Forum Is Already Decided As The New Approach To Community Representation. Why Bother To Engage With The Community? A district forum is only an idea at this point. Input from community stakeholders will be used by the task force to continue their discussions about the future of community representation and whether a district forum is the best way to achieve the goals of the community representation framework, what opportunities and challenges it might pose for community organizations and how membership might be defined. In addition, whatever approach is eventually adopted by Council, it will be introduced through pilot projects, giving additional opportunity for community stakeholders to provide input on its suitability. Work will start up on International Avenue this week, and there are some upcoming detours and closures we want to let you know about. From May 4 to May 7, crews will be reconstructing the road at 33 Street and 17 Avenue S.E. No left turns will be permitted at the intersection while crews do this work. On May 5, traffic will shift to the south of 17 Avenue S.E. between 26 and 30 Street S.E. Access to Barlow Trail S.E. will be via 16 Avenue S.E. There will be no access from westbound 17 Avenue S.E. to Barlow Trail S.E. Between May 11-14, The south east corner of 17 Avenue and 36 Street S.E. will be closed. Northbound traffic will be detoured to 33 Street S.E. This week crews will be reconstructing the road on the north side of the intersections between 47 and 51 Streets. Closures of up to five days will be required as crews move from intersection to intersection. The crews will be removing the sidewalks on the north of 17 Avenue between 37 and 47 Street S.E. as well, and temporary walkways will be set up while crews are removing sidewalks. Between 52 to 60 Street S.E. crews will be working on underground utilities. The re-vamped International Ave will be here sooner than you think. (Photo source: International Avenue. Don’t forget your favourite businesses on International Avenue will be open during construction, so make sure to stop by. Thank you for your patience as we work to make 17 Avenue a great space for everyone. · Traffic light bases are installed at 47 and 50 Street S.E. · Traffic signal bases have been installed at 33 and 42 Street S.E. · Roadway removal between 31 and 35 Streets S.E. are complete. · 36 Street building demolition complete. · Deerfoot Bridge girders installed. · Western Headworks Canal bridge girders installed. · Bow River Bridge East span girders installed. As we approach flood season and the five-year anniversary of the 2013 Southern Alberta and Calgary flood, here are some plans for the City of Calgary’s 2018 flood readiness campaign to update you about the actions The City has taken to become a more flood resilient city. With a higher-than-average snowpack, overland flooding affecting several Alberta communities and the five-year anniversary of the 2013 Southern Alberta and Calgary flood, The City knows that river flooding and the damage it has, and can cause, is top-of-mind for Calgarians. It is The City of Calgary’s priority to monitor, manage and reduce flood risk, and to ensure citizens understand their risk and have the resources available to prepare. Heavy rainfall upstream of Calgary has the biggest influence on river flood risk. These events are challenging to forecast because Calgary is so close to the mountains. We can sometimes see potential rain events 5 to 7 days ahead, but by the time we know how high river flows may be, we may have less than 24 hours to respond. Since 2013, together with the Province, we have committed more than $150 million towards projects that will reduce the risk of river flood damage. We have also strengthened our understanding of the flow of the Bow and Elbow Rivers, how the rivers change and have changed, flood modelling, forecasting, preparedness and response. We all have a critical role to play in preparing for river flooding. The City of Calgary’s 2018 Flood Readiness Campaign aims to provide up to date information to Calgarians about how to understand our flood risk, be prepared and stay informed. We’ll continue to increase our communications to you during this time and continue to do the work to mitigate flood damage and protect Calgary against potential flood events. In the meantime, we invite you to attend the Flood Preparedness Open House for Bow River Communities and to share this invitation with your friends and neighbours who are able to attend our first open house. Please visit calgary.ca/floodinfo for more information, sign up for the City of Calgary e-newsletter and download the Flood Readiness Guide. Thank you to everyone who were able to attend the Community Workshop on Saturday April 14, 2018. It was great to meet people who are passionate about their neighbourhood. We will be sending out information related to the two topics discussed at the session shortly. The information on Art will include more detail on the community art options available to Milican-Ogden through This is My Neighbourhood, the process elements associated with those options and examples of comparable projects in other neighbourhoods. The information on Programming will include information on when the community walking program will begin and how that will move forward. The micro-grant program is being finalized. The Neighbourhood Micro-Grant will support people who want to make Milican-Ogden a better place to live. Start thinking about creative ideas you want to implement and that benefit your neighbourhood. These grants will be similar to the ActivateYYC grants. You can see the ideas that this program has supported: https://calgarycommunities.com/activateyyc/stories/. Additionally, there are residents who are exploring introducing a community garden and another is looking at introducing a pollinating garden. If you are interested in connecting with the organizers of either the community garden or the pollinating garden, let me know and I will connect you. Also, The City of Calgary is looking at ways to provide additional support to the community cleanup and provide assistance to residents who need help getting their items to the community cleanup location at Jack Setters Arena on Sunday May 27, 2018. The community association is not going to be holding their annual carnival this year due to potential construction work occurring at the community hall. The City is looking at ways to fill that gap by organizing an event through This Is My Neighbourhood. We look forward to continuing the conversation as we work together to implement initiatives throughout 2018 and finding ways to support each other to make these projects a success! What seed might we plant together today that could make the most difference to the future of Milican-Ogden neighbourhood?